Finding Italian Greyhound Breeders " "
Italian Greyhounds are slender, fine-boned dogs that are intelligent, affectionate, and playful. Because of the combination of their good looks (they do look quite regal) and good traits, a lot of people are interested in getting their hands on this dog. However, it is important that before you head to Italian Greyhound breeders that you are absolutely sure that the Italian Greyhound is the dog for you. After all, caring for a dog is a responsibility you must adhere to, and knowing what kind of dog you are getting will better equip you for the tasks ahead. Sure that an Italian Greyhound is for you? Then your next destination would be one of the Italian Greyhound breeders around. It is important that you only go to a breeder because this will ensure that you are indeed getting a purebred. If you don’t mind not getting the guarantee of a purebred but would still like to have an Italian Greyhound, please do consider checking out rescue centers because there are Italian Greyhounds looking for families to come home to. Information on both breeders and rescue centers can be obtained from kennel clubs. It is also best to go to a breeder or rescue center affiliated with a kennel club as this will help ensure that the dog you will be getting has been properly cared for according to set standards. Italian Greyhound breeders are also one of the best sources of information about the breed so you can go to them even though you are not ready to get a dog. The wealth of information they possess about Italian Greyhounds will help enlighten you as to whether or not you should get this dog breed since you will know what to expect. You can always do your research online but there’s nothing like firsthand information to help you truly understand what this dog breed has to offer. Aside from getting in touch with kennel clubs, you can find Italian Greyhound breeders online or you can check your local phone book directory service for listings in your area. If you have friends or family who may have gotten an Italian Greyhound, you can ask them to refer you to the breeder they used or other information pertaining to the acquisition and care of Italian Greyhounds. 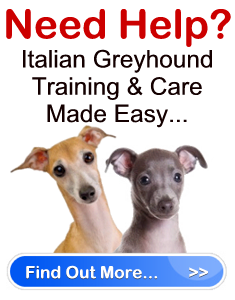 If you are looking for specific rescue centers for Italian Greyhounds, your local animal shelter might be able to help you out.